It is the year 2019. 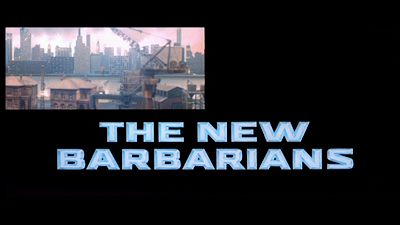 The world is a wasteland, with warriors... barbarian warriors the likes of which you've never seen, since they are so new. The entire world has been reduced to a couple of groups of people and some guys that are just kind of wandering around. On the one side you have some religious settlers. On the other: the Templars, a gang of fanatics ruled by One (that's his name!) who believe that humanity was fated to die off during the nuclear apocalypse but somehow this group of worthless settlers (and the Templars) cheated death and so it is up to the Templars to kill them (the settlers). You also have Scorpion, a former Templar who gave up his fanatic ways to spend more time with his awesome car; Nadir, a madman with a bow that shoots explosive arrows; and some annoying kid to fix all their stuff. Scorpion ends up crossing paths with the Templars and One is really unhappy about that and when they finally get Scorpion in their dirty little fanatic hands, let's just say that the punishment he receives is probably the last thing you would think it would be. So I probably don't have to say any more than this to convince you of the absolute quality of this film. It is not only compelling but also mesmerizing and fascinating and amazing. 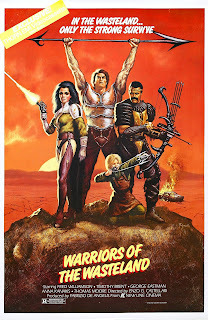 The best parts of this movie will leave you with your mouth wide open, as all your cinematic expectations are broken down, dragged across the wasteland behind a future car, left bleeding on the ground only to be saved by Nadir and his wonderful arrows and born anew, stronger and better and wearing see-through body armor! If I have to complain about something, I guess it would be that Nadir's arrows only sometimes directly explode people. Other times, there is just an explosion behind a couple guys and they go flipping in the air. That is just unacceptable. 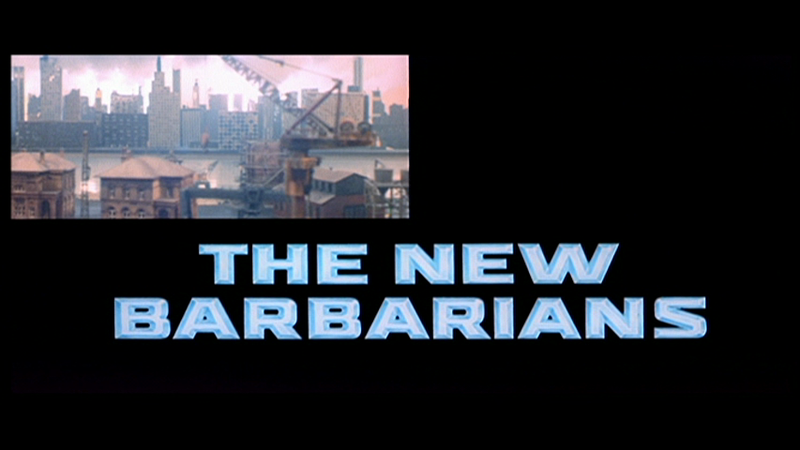 And if I have to nitpick, Fred Williamson as Nadir is pretty awful in this. I don't know what was going on with him in this movie because he was good in some other Italian ripoff movies I had seen before. And man what is up with that annoying kid? I hate that guy.